Manufactured in Sweden, dBarrier is constructed from flame retardant PVC which sandwiches a 40mm thick slab of sound absorbent foam. All panels are flame retardant as standard and UV stabilised to provide a long lifespan in even the most challenging environments. 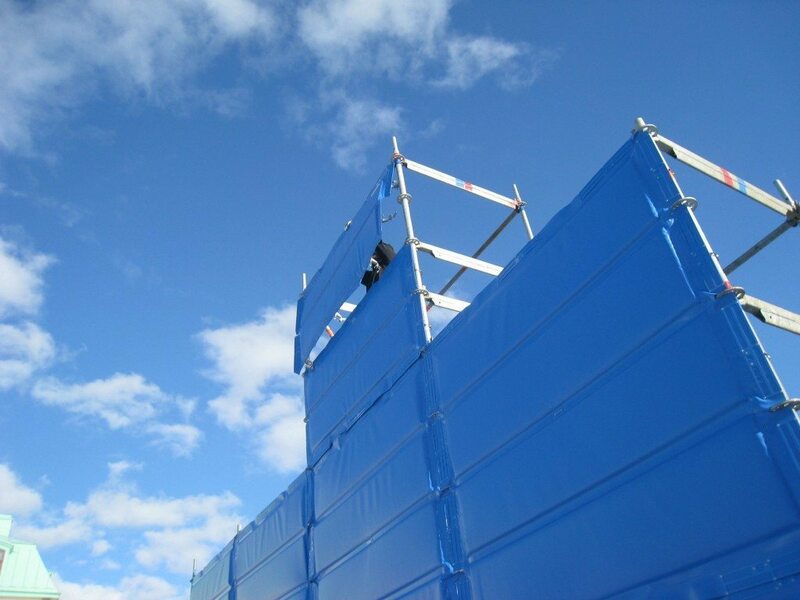 dBarrier is unique amongst temporary noise barriers because it has been designed especially for attaching to scaffolding. The FASTener® attachment, made of stainless steel, allows for fast and efficient fixing and removal and contains no loose components. 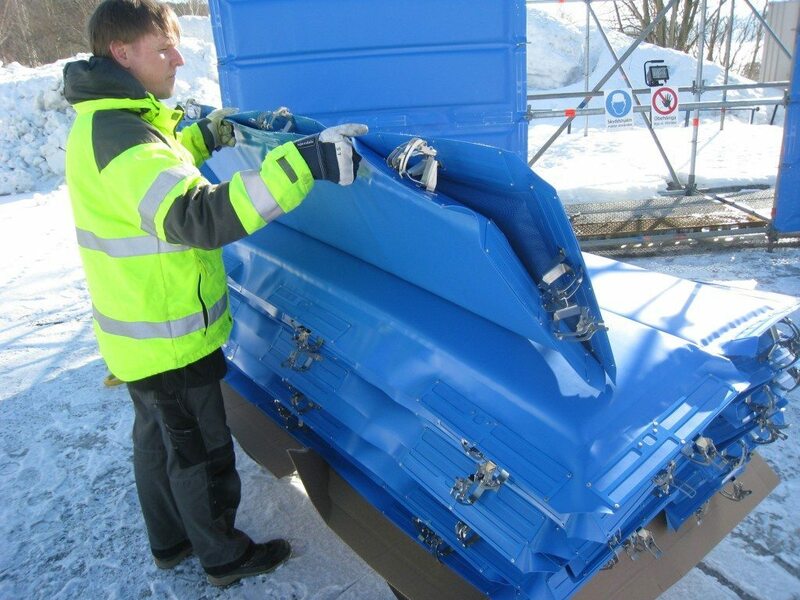 This attachment also allows a security wire or a padlock to be fitted preventing unauthorised removal. Wind tunnel tested: Withstands wind bursts of at least 137 km/h (38m/s, Beaufort 12). Size: Available in 1m and 2m heights with panel lengths ranging from 0.73m to 3.07m. 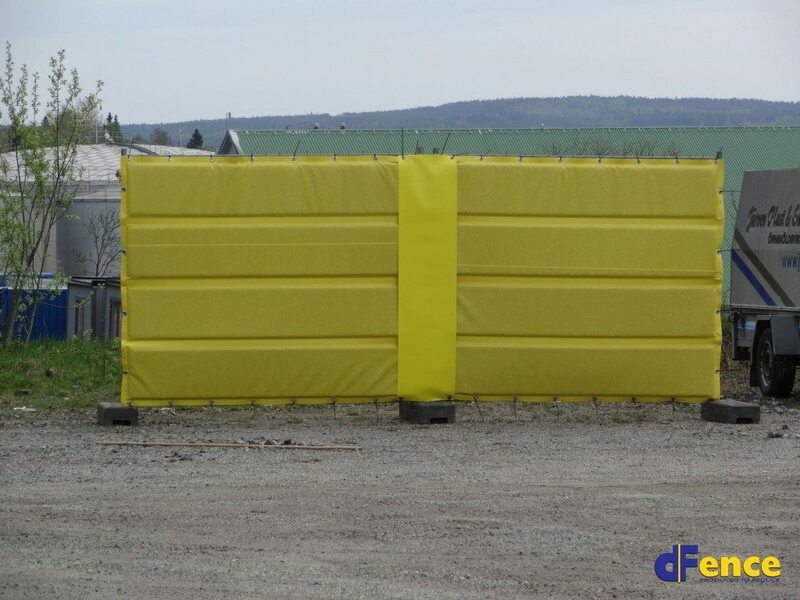 Like dBarrier, dFence is constructed from flame retardant PVC which sandwiches a 40mm thick slab of sound absorbent foam. All panels are flame retardant as standard and UV stabilised to provide a long lifespan in even the most challenging environments. They key difference dBarrier and dFence is that whilst dBarrier has fittings specifically designed to allow it to be attached to scaffolding, dFence is supplied with reinforced eyelets around the perimeter of each panel. 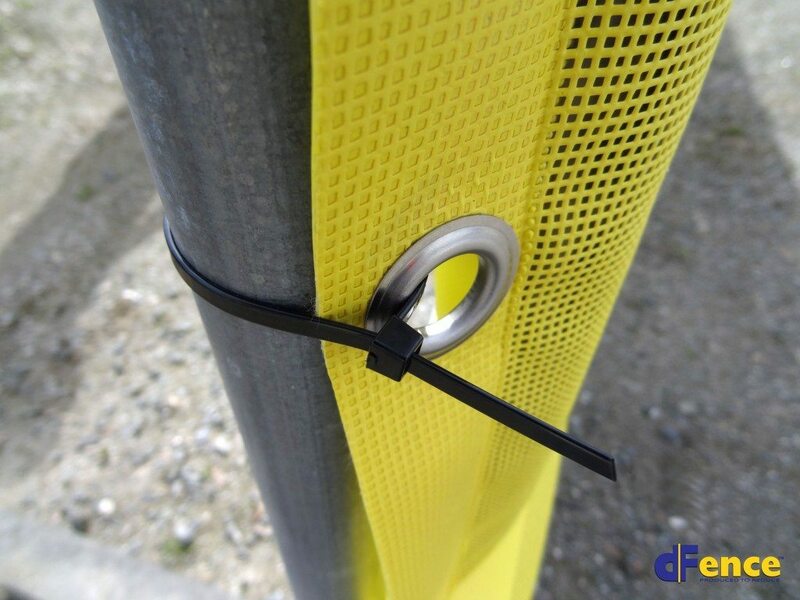 Although dFence is typically attached to temporary fence panels which are used to surround and screen the construction work, dFence can be attached to anything. Size: Available as 2m high panel with panel lengths ranging from 1.4m to 2.2m. If you are unsure, contact us and we’ll help you work out how much sound barrier you will need. If you do not have an account with us yet, download & complete a Credit Account Application Form & return it to us by fax or email. Adam Newcombe – Rhino Shrink Wrap Installer.